In 1937, the great German writer Thomas Mann suggested “To the Living Spirit” as a motto for the New School’s University in Exile. Since the Nazis had removed the same motto from the great lecture hall at the University of Heidelberg, the phrase would “indicate that the living spirit, driven from Germany, has found a home in this country,” and that home was on West 12th Street. The refugee scholars found such a vigorous home at The New School because the entire institution had been structured, in part, on the German adult school model. Since German scholarship in the social sciences lead the field in the 1920s, The New School maintained close ties to German intellectuals. 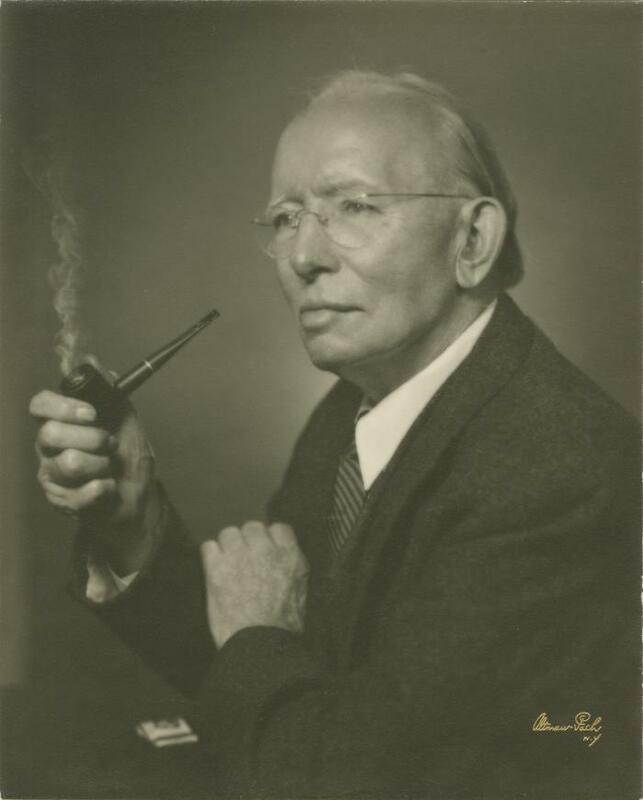 In 1927, when New School director Alvin Johnson became co-editor of The Encyclopedia of the Social Sciences, he solicited work from scholars in Germany, who made him aware of the increasingly dire political situation in Europe. 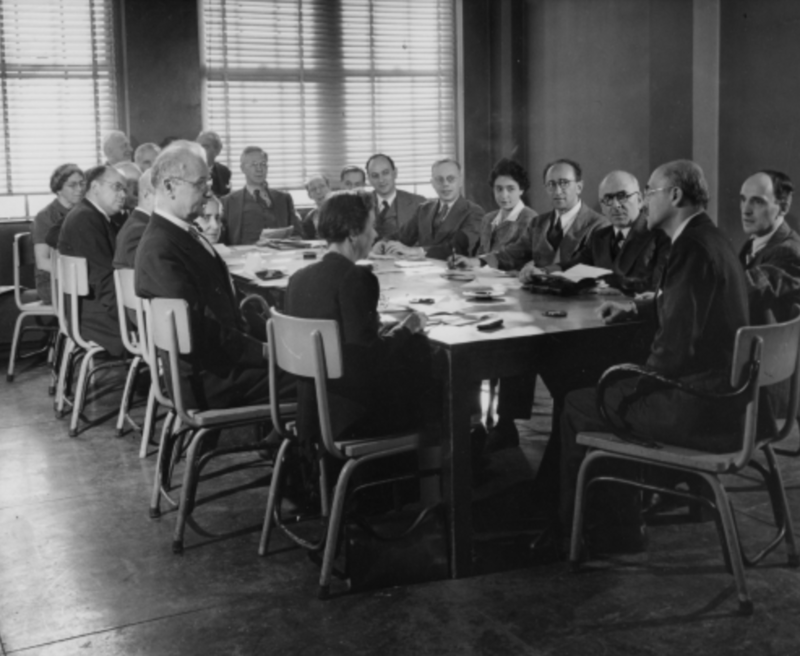 In April 1933, when 16 percent of all German university faculty were immediately dismissed from their posts, Johnson leaped into action before most Americans grasped the gravity of the situation. With that conviction in mind, he made a “protest in deeds” on behalf of academic freedom. With an advisory board including former Supreme Court justice Oliver Wendell Holmes and future Supreme Court justice Felix Frankfurter, he began a furious fundraising campaign to provide salaried positions at The University in Exile for Germany’s most lauded economists and social scientists. Appealing to the “international solidarity of scholarship” and “for the sake of American science and the national interest which it serves,” he was able to secure an initial donation from the philanthropist Hiram Halle, and a sustaining donation from the Rockefeller Foundation. 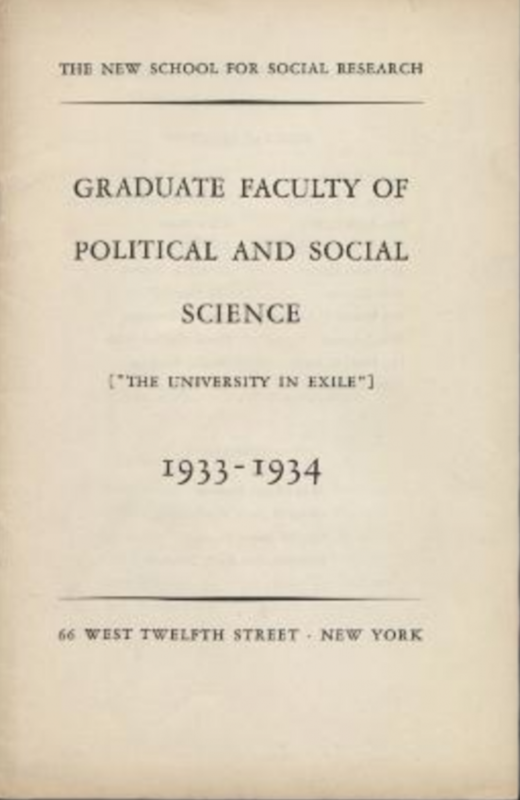 Johnson’s work on behalf of the refugee scholars was so passionate, and so immediate, that the first group of intellectuals, ousted in April 1933, began teaching at the New School on October 2nd of that year. 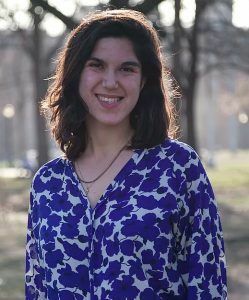 The refugee faculty made the New School the most important center for social science in the country, but that illustrious distinction didn’t win the hearts of the American public – or even the American intellectual community. Then as now, public prejudice and paranoia curbed efforts to find positions for exiles in the United States. As it grew, the University in Exile offered asylum to approximately a quarter of the refugee scholars in the United States. But, with the nation in the throes of the Depression, which put nearly 10 percent of American university faculty out of work, the public still asked a question which echoes down the years: are they taking our jobs? Indeed, the exiles were the United States’ largest staff of experts on international affairs. For example, Arnold Brecht, the political scientist, had held posts in the ministries of Interior and Finance during the Weimar Republic, and served as the Prussian representative in the Reichsrat; Hans Simons, the son of the former acting president of Germany, had also served in the Ministry of the Interior, and been at the Conference of Versailles (where the infamous treaty was negotiated). Given these bona fides, the émigré faculty became consultants to the US government, and several professors even held positions in Washington: The sociologist Hans Spier served in the Office of War Information, and in the State Department’s Occupied Areas division, as a propaganda specialist; Brecht was a supervisor in the Army’s German area training program; Simons was a department head in the US post-war military government in Germany. Back home, as the US struggled against the Depression, the refugee intellectuals proved a great asset. The New Deal was showing that economic policy could help democratize society, and the refugee economists embraced Roosevelt’s program. Gerhard Colm even served as a financial expert in the Bureau of the Budget, and his work there culminated in the Full Employment Act of 1946. 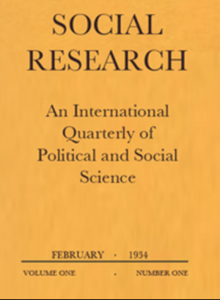 The exiles not only helped implement the New Deal and win the war, but also they established the journal Social Research, which is published to this day, and originated the first research division at an American university staffed entirely by immigrants. 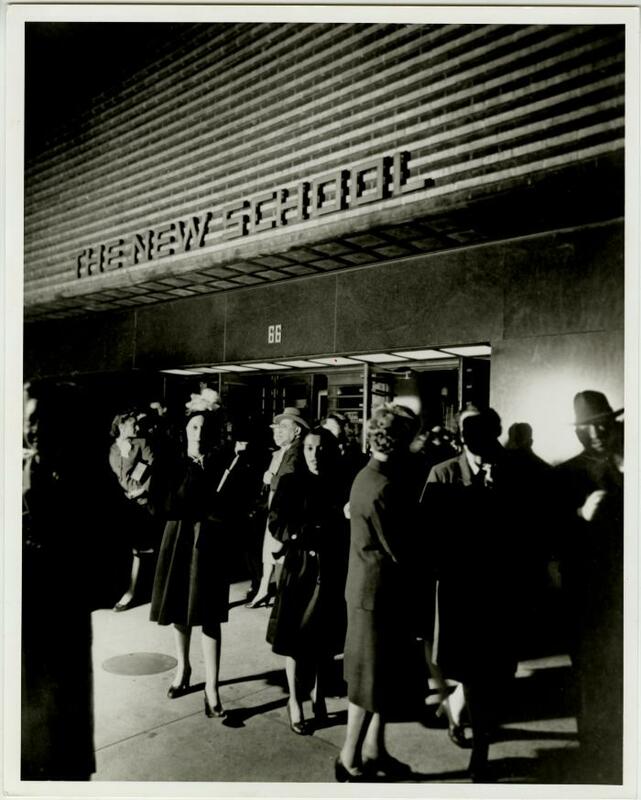 In fact, their division is the basis of the New School’s current graduate program; it began offering degrees in 1935. In solidarity with other scholars still in danger, the émigré faculty committed three percent of their salaries to make positions available for other academics. 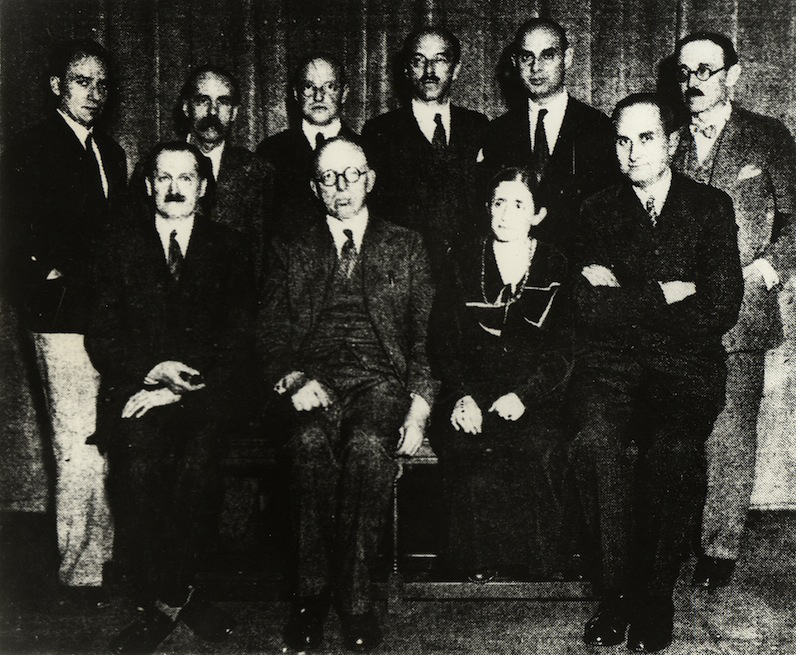 After the Anschluss, the faculty added several new members. Following the fall of France, the University in Exile joined the Rockefeller Foundation in a spectacular effort to make room at the New School for over 170 scholars from all over Europe. Fitting for such a humane crowd, many of the exiles, most of whom had already become American citizens, turned their sights toward “Peace Research,” helping the United States to define its place in the post-war world. Luckily, it was a place that included them. 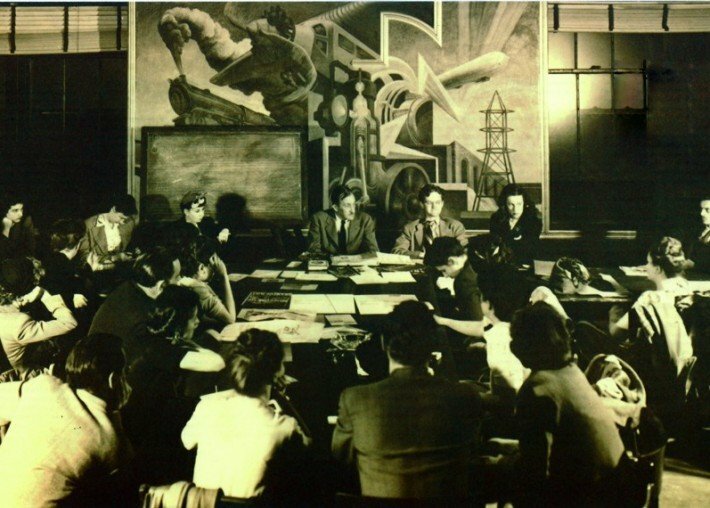 If you’d like to learn more about the New School and academic freedom in Greenwich Village, please join Lucie Levine on September 2nd for a tour with the Municipal Art Society, Back to School: Education and Radical Free Thought in Greenwich Village.